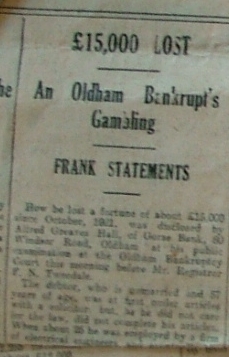 Made bankrupt in 1928 aged 57 at Oldham Bankruptcy court after losing £15000 pounds through gambling since October 1921. Lived for a time (1901) at the home of his brother Joseph at Gorse Bank, 60 Windsor road, Oldham and then in Harrogate. 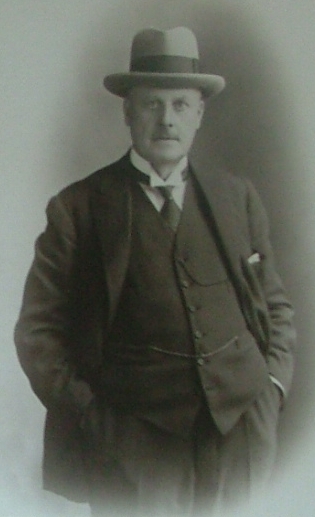 HALL Alfred Greaves of 13 Alderson-road Hsrrogate. died 11 December 1941 Probate Llandudno 21 January to Eric George Claydon and Thomas Edward Cecil Crozier solicitors. 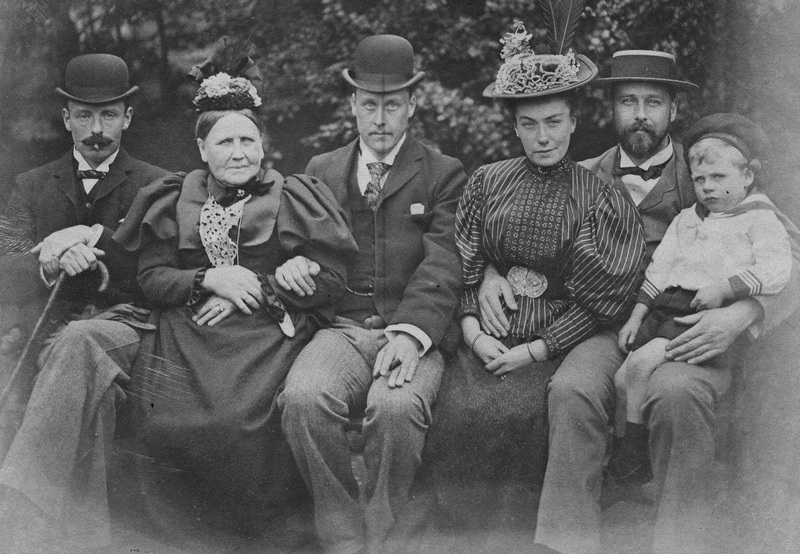 Alfred Greaves Hall in centre of photo with mother Louisa and sister in law Alison, brother Henry, and nephew William. On the left is James Duncuft?